Mouldspace staff firmly believe that the good quality is the fundamental of a corporation' survival. We have consummate quality controlling system, ISO and environment management, experienced and trained employees, advanced machining, insepcting facilities, regular suppliers, to make sure you can trace the whole process of every single part's , from designing to delivery. We have qualified engineers to carry out the mould design, and experts to inspect the feasibility, meanwhile, we are following the American and European design standard, to ensure the design approval. All positions require qualification certificate. 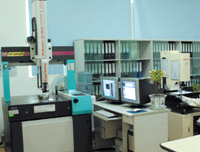 All moulds are completed through advance machining equipment in machining center, EDM, W-EDM,etc. 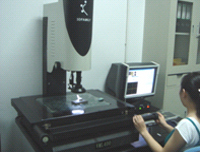 At the same time, every process needs to be check over,to ensure an efficient machining. Fianl 2D & 3D drawings. Copyright© MOULDSPACE INDUSTRY CO. LTD.